Reid to make his international comeback. Ireland’s caretaker manager Noel King today announced his provisional 26 man squad for the upcoming qualifiers against Germany and Kazakhstan. While there are no real changes to the defensive personnel, there is a reshuffle in the centre of the park which sees Darren Gibson return to the fold after a self-imposed exile. 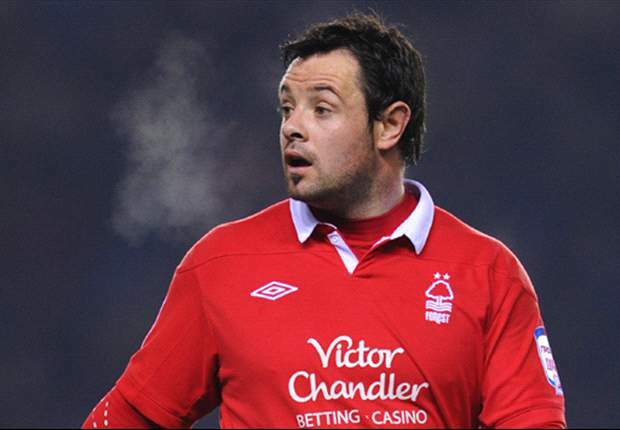 Nottingham Forest midfielder Andy Reid gets a call up after being left out in the cold by Trappatoni for the past 5 years. Reid is a player of undoubted ability, with a left foot capable of picking the lock of any defence. There have always been question marks over his fitness, however his lack of pace is compensated by his passing, shooting and free-taking ability. Below is a short clip highlighting what he’s capable of. The only pity for Ireland is that Reid, along with Wes Hoolahan, were overlooked by Trappatoni during a period when Ireland were crying out for a creative presence in midfield. Now the two of them are the wrong side of thirty years old, Hoolahan only finding his way into Trappatoni’s plans earlier this year and Reid parachuted in for two World Cup qualifiers rendered almost meaningless by recent results. Darron Gibson took himself out of contention for an Ireland call-up following last year’s disappointing European Championship. The decision of Trappatoni not to play him in any of Ireland’s three games was something that rankled, leading him to opt out of playing any more games under the veteran Italian manager. He declared his availability once more when Trappatoni parted ways with the Ireland team and will be a welcome addition to the midfield. A return on the cards? Interestingly, Stephen Ireland is a name that we could be seeing again on the team-sheet. 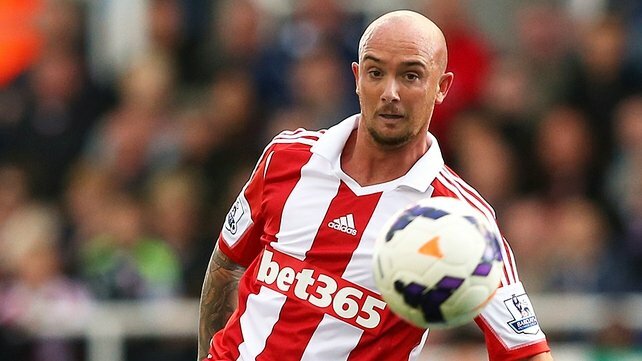 Irish Independent football writer Daniel McDonnell tweeted today “A comeback for Stephen Ireland was discussed. He doesn’t feel in top condition/ready but gave impression he wants to play for Ireland again.” Whether he would be welcomed back by Irish fans is another matter entirely, but there is a precedent for a controversial Corkman returning to the fold. Up front, Anthony Stokes is called up to the international set-up for the first time since he withdrew from the Carling Cup squad in May 2011. As the only player of the Irish panel currently involved in Champions League football, his inclusion at the expense of Connor Sammon is a welcome one. Kevin Doyle has also been given a reprieve by Noel King, having missed out on the past few international fixtures. However the Wexford man had not been overlooked by Trappatoni due to some slight, (perceived or otherwise) but rather because of an abysmal run of form. Doyle now plies his trade with Wolverhampton Wanderers in League One and will surely be desperate to get on the field in a green shirt, if only to put himself in the shop window for a January escape. At 30 years old, time is running out for the former Reading striker. Doyle back in the squad. Elsewhere in the squad, Richard Dunne and John O’Shea are included despite both being suspended for the Germany game. They will join up with the rest of the team before the Kazakhstan fixture. Darren O’Dea has been omitted from the squad but Noel King is confident he has the strength in depth needed to cope at the back. While Andy Reid returns to the fold, his club-mate Simon Cox misses out. Forde [Millwall], Westwood [Sunderland], Randolph [Birmingham], O’Brien [West Ham], St Ledger [Leicester], Wilson [Stoke], Coleman [Everton], Kelly [Reading], Clark [Aston Villa], McShane [Hull], Gibson [Everton], Whelan [Stoke], McCarthy [Everton], Green [Leeds], Reid [Nottingham Forest], McGeady [Spartak Moscow], Pilkington [Norwich], McClean [Wigan], Brady [Hull], Quinn [Hull], Hoolahan [Norwich], Long [WBA],Keane [LA Galaxy], Walters [Stoke], Doyle [Wolves], Stokes [Celtic] – O’Shea [Sunderland] and Dunne [QPR] will join squad for Kazakhstan game. When it comes to Irish rugby all seasons are important, some are more important than others, and this is more important than most. 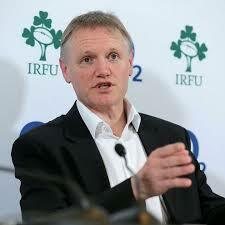 New Irish head coach Joe Schmidt will be looking to put his stamp on his team in the forthcoming November series. His Leinster sides played some outstanding attacking rugby which the national side often lacked under Declan Kidney. The players are certainly there for Schmidt to usher Ireland into an exciting new era, with the likes of Madigan, Zebo and Gilroy providing stern competition for the elder statesmen of the national set-up. The November series will be a baptism of fire for Schmidt however, with a game against Samoa followed by clashes with Australia and his native New Zealand. Ireland had the upper hand the last time they met the Wallabies back at the world cup 2 years ago, but while Australia lost the Lions series and made a poor start to this year’s Rugby Championship, they have an enviable list of attacking talent at their disposal. Enviable to all except perhaps the World Cup holders themselves. The less said about Ireland’s last clash with the New Zealand the better, however Schmidt will hope that his charges can at the very least acquit themselves well when the All Blacks come to town on November 24th. Then comes next year’s Six Nations and the opportunity and necessity of consigning this year’s poor performances in the competition to history. Finishing in 5th place, below both Italy and Scotland is not something that Schmidt would countenance in his first season in charge. However the fact that both those sides finished ahead of Declan Kidney’s charges last spring highlights the fact there is no such thing as an easy game in the Six Nations. Schmidt’s squad must hit the ground running in their first two games (at home to Scotland and Wales) if they are to avoid a similarly underwhelming campaign. If the national side is facing a year of transition, it perhaps pales in comparison to the changes at provincial level. 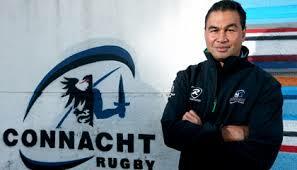 Former Blues coach Pat Lam is challenged with taking Connacht forward following Eric Elwood’s resignation. The western province have enjoyed some great Heineken Cup nights in the Sportsgrounds on Elwood’s watch, and Lam’s task will be to ensure better showings in the bread and butter competition that is the Rabo Pro 12. Last year they finished a disappointing eighth, 12 points behind Treviso. Losing the influential Mike McCarthy to Leinster is a setback they must quickly overcome. Looking eastwards, Leinster have to adjust to their own changes in personnel. With Schmidt leaving the set-up to take charge of the national side, it’s former Leicester Tigers head honcho Matt O’Connor who picks up the mantle. The Australian had a good record with the Tigers in the Premiership, guiding them to back to back titles. However he now faces the task of further filling the Leinster trophy cabinet. Without Jonny Sexton and with Brian O’Driscoll entering the final year of a glittering career. If Leinster are to hold on to other key players then O’Connor must hope the IRFU figure out a way to compete with the vast amounts of money on offer from French clubs. 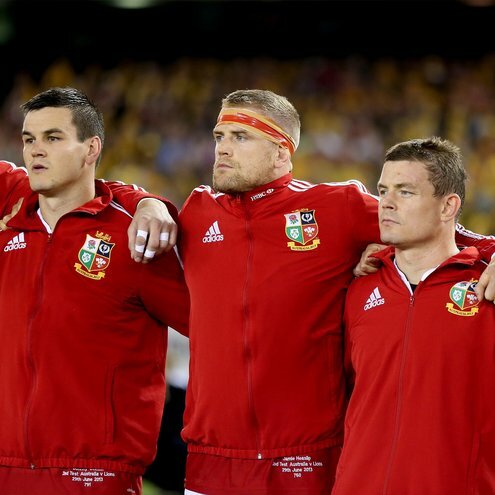 Lions tourists Sean O’Brien and Jamie Heaslip are the latest figures to be linked with a move away, with Clermont Auvergne reportedly interested in poaching the back-rows once their contracts end next June. They knew the day was coming in Munster but it still hurt to say goodbye when Ronan O’Gara departed for Paris and a coaching role at Racing Metro. While the return of Paul O’Connell to full fitness after a frustratingly long spell on the sidelines last season will be a welcome boost, the question facing Rob Penney’s side is where the next group of leaders will come from. Peter O’Mahony has been given a vote of confidence in that regard, with the back-row taking over the captaincy for the season. However with O’Gara gone and Doug Howlett too, the issue is who will emerge as a leader in the back-line. It’s a big year for Ian Keatley and JJ Hanrahan as they battle it out to become O’Gara’s undisputed successor. Ulster are perhaps the most settled of the Irish provinces, with coach Mark Anscombe in the job a year at this stage and little movement in or out during the summer. However even the most stable of Irish provinces will be thrown into chaos in the coming weeks. 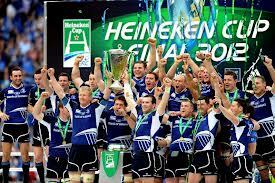 It appears that as of next season the Heineken Cup will cease to exist. English and French clubs have both released statements in the past few days indicating an unwillingness to continue competing in the Heineken Cups in its current format. The present agreement for Europe’s premier competition ends after next year’s final. The French and English propose the establishment of a new 20 team tournament where qualification is gained solely on merit. They have stated that this new tournament will include teams from both countries but will also welcome sides from the other nations. At present each country’s union has discretion in how to award the 24 allotted Heineken Cup places. France and England have six slots each, Ireland and Wales three and the Scots and Italy taking up the rear with two apiece. The winners of the competition and the Amlin Cup are also allocated a place in the top competition the following season. Is the Heineken Cup coming to an end? These regulations have allowed Ireland to send all four provinces into Heineken Cup battle in the past two seasons and again this season, as Leinster’s two Heineken Cup successes and their Amlin win back in May this year have allowed Connacht to dine at the top table. Undoubtedly this has been fantastic for Irish rugby as a whole and anything that will alter the current arrangement should be treated with caution. The ERC have countered the statements of the English and French clubs by reiterating that they must approve any European competitions, and stating that all parties are working towards a deal to extend the agreement that ends in May next year. However if the Anglo-French demands are not met and the Heineken Cup ceases to exist, it is imperative that the IRFU choose their side carefully. The provinces cannot survive on the Rabo Pro 12 alone, and anything that hurts them hurts the national team too.